This guest post comes courtesy of Christian Verstraete, Chief Technologist, Cloud Strategy for HP. I’ve spent the last several weeks addressing some of the business aspects of cloud and why/how companies move to the cloud. It’s time now to wrap this series up. The cloud discussions have been changing rapidly over the last months, focusing away from infrastructure to applications, services and industry requirements. The main reason is the perceived lack of responsiveness and agility of IT. As I pointed out, it is increasingly becoming clear that one size does not fit all, in cloud computing and that the CIO should become a “strategic service broker”, sourcing services from a series of cloud environments going from private to public clouds and from IaaS to SaaS services. Moving away from an architecture focused on the development, maintenance and management of a series of applications running in a proprietary environment to the sourcing of services from multiple sources, require rethinking how the organization is structured and managing the changes that this imply. Gone are the deep technical siloes, each managed in isolation. They should be replaced by a more holistic approach where a team is focused on the implementation and operation of a cloud platform, if the enterprise decides to maintain its own private cloud, and teams focused on the sourcing, development, maintenance and management of the services needed by the business. What makes this transformation difficult is the fact the move to cloud takes time, and for the foreseeable future, legacy and cloud environments will have to co-exist. What makes this transformation difficult is the fact the move to cloud takes time, and for the foreseeable future, legacy and cloud environments will have to co-exist. This pushes to a gradual evolution of the IT organization, building a cloud focused team in parallel with the reduction of the traditional one. One advantage is that in IT many resources will retire over the next 10 years as the baby boomers are slowly replaced by millennials. One approach is to build the new organization around these, while keeping the baby boomers focused on the traditional environment. But you may want to transfer some of the experience gained over the years, and even if cloud is a different approach to IT, a lot of the fundamentals are still applicable. This will force you to review your existing IT organization thoroughly, assess the capabilities and rebuild a new organization capable of addressing both the traditional and cloud world. The good news is that others have done this before you. 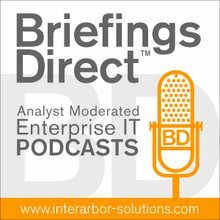 A couple weeks ago I ran into a podcast by Teri Takai, CIO US Department of Defense and Suren Gupta EVP of IT at Allstate Insurance Company. They discuss how to transform traditional IT to cloud IT and provide some interesting hints. This is just one of the many articles pointing out something has to happen. Recognizing the needs is easy, but transforming in flight is a little more complex. As stated in part 1, cloud is a vehicle for IT to respond faster to the needs of the business. To use cloud to its full extent, it’s key to understand those needs, isn’t it? And that is where governance comes in. Sitting down with the business and prioritize their requirements is critical for the CIO to be successful. I cannot stress enough the prioritization as in many situations, the needs of the business vastly surpasses the financial capabilities of IT to implement. I’ve often used ROI as a way to help the business to prioritize their requirements. What is the return of investment of a specific service required. I cannot tell you how often I have heard about needs that were absolutely mandatory, but when discussing them without emotions and reviewing the added value to the bottom line or the increase in productivity, it quickly became clear there was none. It also allows IT to demonstrate added value to the business and builds a true partnership spirit between both parties. It helps the business teams looking at things objectively and maximize their productivity. It also allows IT to demonstrate added value to the business and builds a true partnership spirit between both parties. In organizations, IT is often seen as an entity that does not really understand what is needed, that makes things complicated, that always needs a long time to deliver etc. Building such governance provides the business teams with a better understanding of what IT is up to and helps them decide what is really important for them. The third element the CIO needs to focus on is the development of an application roadmap. What do I mean by that? It’s the definition of which applications will be retained in the transformation and what platform (legacy, private, virtual private or public cloud) is it intended to migrate too. Perform an inventory of the available applications. This step alone will provide you with many surprises. Don’t limit you to applications, but look at application instances, and if packaged applications are included, identify the different versions used. Establish the applications or application instances you will sunset. In other words, what are the applications you do not plan to use any longer. Here obviously the governance is mandatory as this is a discussion between business and IT. Don’t hesitate to utilize the ROI approach I described earlier to focus attention, as the business by default sees the need to keep everything. For each of the sunset applications, define a replacement and sunset plan. In other words, how will this functionality be delivered in the future (by another application that is already available, by a new application, is it no longer needed etc.) As a result of this exercise, new applications may have to be added to the inventory as they will become part of the application environment in the future. This is a new technology with which you do not have a lot of experience yet, so you will run into roadblocks that will take time to resolve. For each of the applications in the inventory, identify the data sources required, identify potential latency and responsiveness issues and look at whether this application is a core or context application as described in part 4. Identify the sensitivity of the data sources. Are these core data items? Are they subject to privacy or other laws enforcing geographical boundaries etc. And then last, set-up a plan. By when should each of the applications been migrated to their target platform. Don’t be too optimistic in the first steps. This is a new technology with which you do not have a lot of experience yet, so you will run into roadblocks that will take time to resolve. This close collaboration with the business should transform relations in the long run, improve IT’s responsiveness and provide an environment for growth. Cloud is a game changer. It is probably the first “revolution” in IT since the appearance of the mainframes and forces IT to rethink and transform itself. SMBs and start-ups have understood this quickly as it allowed them to do a quantum leap forward in the use of IT in general and infrastructure in particular. Larger enterprises, having well-structured IT departments, have a little more difficulty in understanding the value and making the step. Having talked to many CIO’s and business people, I do not believe it’s about whether to go to cloud, but when. And the first movers get the greatest benefits. I do not believe it’s about whether to go to cloud, but when. Let me finish this series with a little story. It may not seem relevant at the start, but read till the end, you’ll understand. Improving agility and responsiveness faster than their competitors allow companies to gain market share, even in depressed markets. That’s all I wish you. I hope this series helped you think through this and understand how you can use cloud as a way to beat your competition, not the tiger.